The London-based International Swimming League, now named London Roar, has announced that Aussie freestyling ace Cameron McEvoy will be added to their star-studded line-up. Joining the likes of fellow Aussies Kyle Chalmers, Cate Campbell, Bronte Campbell, Matthew Wilson and more, McEvoy will be a valuable component to the mix. 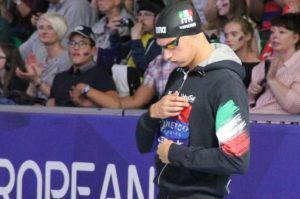 He remains the fastest textile 100m freestyler ever, with the 47.04 he notched back in 2016. As for Team Iron, in addition to the newest members of Robert Glinta David Verraszto, and Jenna Laukkanen, the squad announced that short course meters monster Vlad Morozov will also be a member of the team. His team moniker is still TBD, however. Morozov most recently wreaked havoc in Hangzhou at last year’s Short Course World Championships. 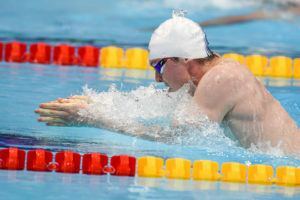 The Russian reaped a total of 6 medals, including individual gold in the men’s 50m freestyle. will Americans ever fill a team?? 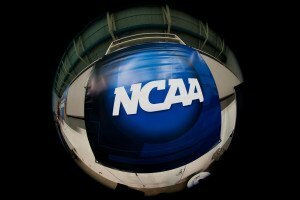 are they waiting for the NCAA’s to be over? I am getting more and more under impression that Grigorishin’s envoy in America Assigned Managing Director of the ISL USA Dmytro Kachurovskyi, isn’t really welcome by American swimming related businesses. I don’t see any other reasons of delayed recruitment. lol nicknaming them with animal names?? who’s doing that? Read the yesterday report from Mrs. Race about Hosszu owned ISL team. Iron Bear is a cute name, I hope they will consider your ‘suggestion’ lol. I’m also curious about the German team. Have they started their recruitment? 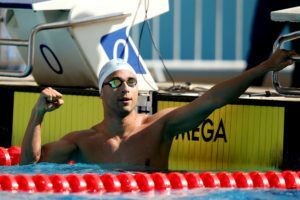 If not, they should be very worried as more and more top swimmers sign with the other three. Yes the German team has started their recruiting and have contacted a lot of swimmers, but I’m not sure if anyone have signed the contract yet. Craig, can you please keep your hands away from my fellow Hungarians. As well as from the keyboard unless you are able to make a swimming related point.